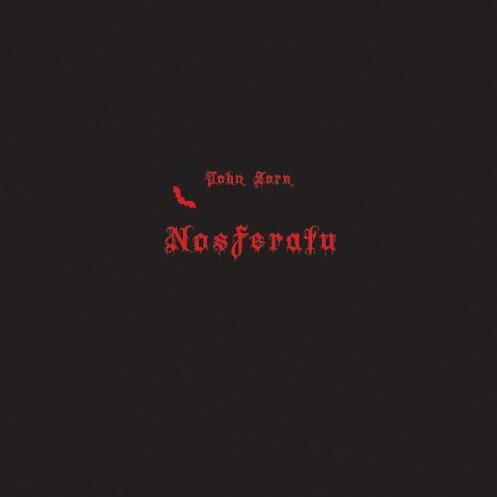 Yet another release in the mind-bogglingly prolific output of John Zorn, who shows no signs of slowing down as he continues to release a wide range of recordings drawing on an even wider range of influences and styles. This one’s based upon a recent Polish dramatic production of Bram Stoker’s Dracula, for which Zorn composed and performed sixteen pieces, with the help of Rob Burger (piano, organ), Bill Laswell (bass), and Kevin Norton (percussion, drums, and vibraphone). 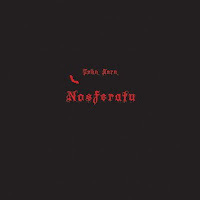 In addition to alto sax, Zorn also makes his contributions felt on piano, Fender Rhodes, assorted electronics, and some really creepy breathing on “Nosferatu,” about halfway through the record. Perhaps the most surprising thing about this release is its restraint. For music written to accompany a production of Dracula, most of the tracks possess a pensive, almost tranquil quality, heavily relying on flowing keyboard passages (often supplemented by Norton’s vibes) that tend to put the listener in a relaxed, rather than frightened, state of mind. That’s not to say that there are no moments of intensity and aggression here; Zorn’s trademark alto squeal is at the core of “The Battle of Good and Evil,” as Zorn lets loose over a bracing undercurrent of heavy noise and Norton’s blistering drumming. When Zorn comes screeching in at around the one-minute mark, we’re reminded of how forceful Zorn’s alto playing can be when he really wants to wail. But again, for the most part Zorn eschews the edgier side of his vision here, choosing instead to develop an atmosphere of foreboding through soundpieces that rely more on the building of subtle tension rather than visceral shock. And while Zorn could certainly be commended for taking a less-obvious approach toward his macabre subject matter, the overall effect is unfortunately less than compelling. Perhaps for its original purpose as a musical accompaniment to a stage production, Zorn’s score was more successful; but for a stand-alone product, the recording doesn’t do enough to sustain interest over repeated listenings. Especially for readers of this blog, some of Zorn’s pieces here are going to sound rather lightweight—as for instance the somewhat treacly piano/vibe tracks “Mina,” or “Jonathan Harker,” which wouldn’t be out of place on a New Age piano recording, and feature simple piano themes complemented by rather lackluster vibe accompaniment. The tracks that do grab the listener, such as the aforementioned “Battle of Good and Evil,” or “The Stalking,” a dub-influenced track featuring an infectious Laswell bass line which has a nice groove to it, don’t do enough to outweigh the remainder, which are mostly forgettable and repetitious keyboard-based musings. It might have worked well on the stage, but taken by itself, this one’s for Zorn completists only.